A regional publisher’s pro-European newspaper is to auction advertising space in its forthcoming issues after reaching its sixth weekly edition. 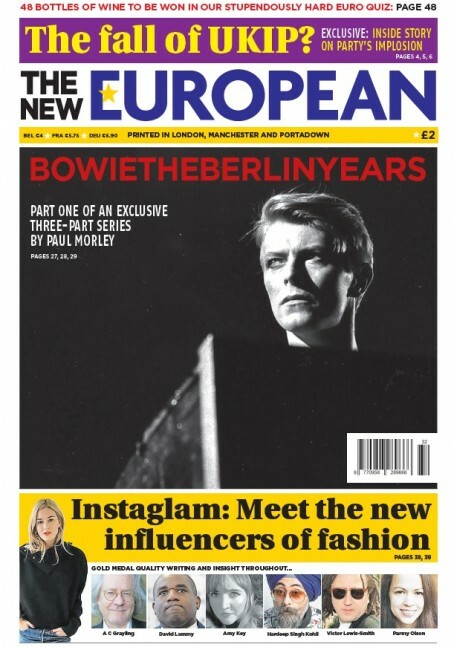 The New European was set up by Archant in the wake of the 23 June Referendum to appeal to the 48pc who voted to stay in the EU. Initially slated to last for four issues, it has already announced it will continue on a rolling basis with issue 6 hitting the streets this morning. The auctions, which began yesterday and closes on Tuesday, will see participants bid for ad space in next Friday’s edition and for a “full takeover” of the 26 August edition. The news comes after the company revealed the newspaper was now being distributed abroad in cities including Brussels, Paris, Strasbourg and Berlin, as well as Northern Ireland. Craig Nayman, chief commercial officer at Archant, said: “We are incredibly proud of the impact The New European has had and we are reflecting its innovation in our commercial offering. “Pop up publishing provides different opportunities for the media buying community to embrace a new business model. Oh my days, who comes up with this stuff? why not put all the papers on eBay and be done with it, saves employing advert reps so there’s cost savings to be had. This is a really interesting development. Seriously. Anyone that knows anything about media businesses (clearly, none of the above) will understand that there will be a lot of people wanting to see how this goes. Great little experiment Archant. Good luck. Voice… you must have been an advertisement copywriter in your day, with ‘Anyone that knows…’. (Sorry to be picky). And a full takeover of an edition by auction? How cheap as chips is that? Mind you, auctioning off copies to collectors of discontinued newspapers may be a possibility fairly soon. I have 40 years experience in national and local media and I know one of the other people above has 25+ so think we are well placed to pass opinion and that is the sheer desperation of having to auction off advertising that otherwise in all likelihood couldn’t be sold. Is the plan for others to auction off their ad space too? As I mentioned at least if successful it could nicely pave the way to offload reps who’s role will be no longer required when all thats needed is an auctioneer.